It's very good to be here in Philadelphia, a city we've never had the opportunity to visit before, and to be here in St. Mark's. This is the return match, as Fr. Sean preached for us at All Saints, Margaret Street on Ascension Day. Philadelphia is preparing to welcome another and much for famous visiting preacher. Pope Francis is a Jesuit and so is steeped in the spirituality of St. Ignatius Loyola. In his teaching the imagination is one of the principal ways in which we enter into the meaning of the Gospel and the Gospel enters into us; enabling us to see what God is calling us to do and shaping our Christian lives. Imagination—the ability to thinks ourselves, “in our mind's eye,” into the situation of another—is one of our most neglected faculties. Of course, it needs to be tempered by reasons—otherwise it becomes more fantasy than reality—but like the artist or the poet or the musician, it enables us to see beyond our own world. This morning, I want you to imagine you're in the Rectory with Fr. Sean. It's the Rector's day off after a long and busy week. He's just about to go out for the day when the doorbell rings. You see him answer it. Perhaps it's one of those people who turn up at clergy house doors needing a meal, a bed for the night, a ticket home. But no, it's a well-dressed, respectable-looking lady who seems to have a genuine reason to want to see a priest. Now, you have always known Fr. Sean as a kind a sympathetic priest: ever ready to lend a sympathetic ear or to turn out to visit the sick and dying at any hour of the day or night – not the type who only works office hours. And, just as you would be shocked to hear one of your clergy speaking like this, and think they ought to be hauled up in front of the bishop for a dressing down, so it is a shock to hear Jesus' response to the Syro-Phoenician woman in today's gospel: using a familiar ethnic insult of the time, calling her a 'dog'. This does not sound like some who “has done all things well,” either. It's rather like our prime minister who has been in trouble for calling desperate refugees fleeing war and persecution in the Middle East “swarms” as if they are not people but locusts; or one of your presidential hopefuls – the one with the bizarre hairstyle - calling all Mexican immigrants drug dealers or rapists; or one of your more extreme political commentators calling the President as a “retard” - and so managing to insult not only him – which was her intention - but all those people with learning difficulties to whom that demeaning term used to be applied. We might expect politicians and commentators to pander to people's worst instincts in pursuit of votes, but we expect better of the clergy and most certainly of Jesus. So, what are we to make of Jesus's behaviour in this incident? If you are puzzled, you are in good company. People have long struggled with it. Scholars have spilt vast quantities of ink on this passage, and as scholars do, they don't always agree. Jesus has been in a running battle with pious critics about dietary and purity laws. He has slipped out of Galilee into southern Lebanon, the territory of Tyre and Sidon, for some time off, a bit of peace and quiet, a retreat with his disciples. So we can well imagine that, on a human level, this intrusion might not be welcome. His disciples might not have reacted favourably to the arrival of this persons who was not only a woman—men would not usually speak to women outside their family circle—but a foreigner? The disciples would probably have been happy to see her sent away. A detail suggests that this is a woman of some standing, a lady: her daughter sleeps on a couch, not a sleeping mat on the floor. She is probably used to commanding her social inferiors. She belonged to a social class whose wealth and power was probably resented by a Jewish population dependent on them for employment. Nor, in the normal run of things, would she have had much time for poor Jews. But now she is desperate for her daughter and love drives her across boundaries of class and race. One of the disadvantages we face in understanding this passage, imagining our way into it, is that we cannot hear the tone of voice or see the expressions of those involved in the dialogue. Professor Willie Barclay, who used teach at the University of Glasgow and wrote a series of popular commentaries on the New Testament, suggested that Jesus might have said this with an ironic smile on his face. More suspicious modern commentators reject this: reluctant to be seen letting Jesus off the hook of political and theological correctness. But we know from other incidents in the gospels that Jesus was a master of argument and wordplay. Might he not have been using a familiar ethnic insult in an ironic way? Those modern critics are not doing something entirely new. No less a figure than Martin Luther thought this woman had got the better of Jesus in the argument with her clever riposte: “Yes, Lord, but even the dogs eat the crumbs which fall from the children's table.” She brings Jesus to a deeper understanding of the implications of his mission: its universal scope. This argument takes seriously the humanity of Jesus and its self-imposed limitations: Jesus learns as he goes along. In this case he learns from the woman. As we seek to understand this awkward episode, it helps to see it in the context of both the ministry of Jesus and the mission of the early church. It's clear from the gospels that though there had already been exceptions, the former was largely limited to Jewish territory and Jewish people. 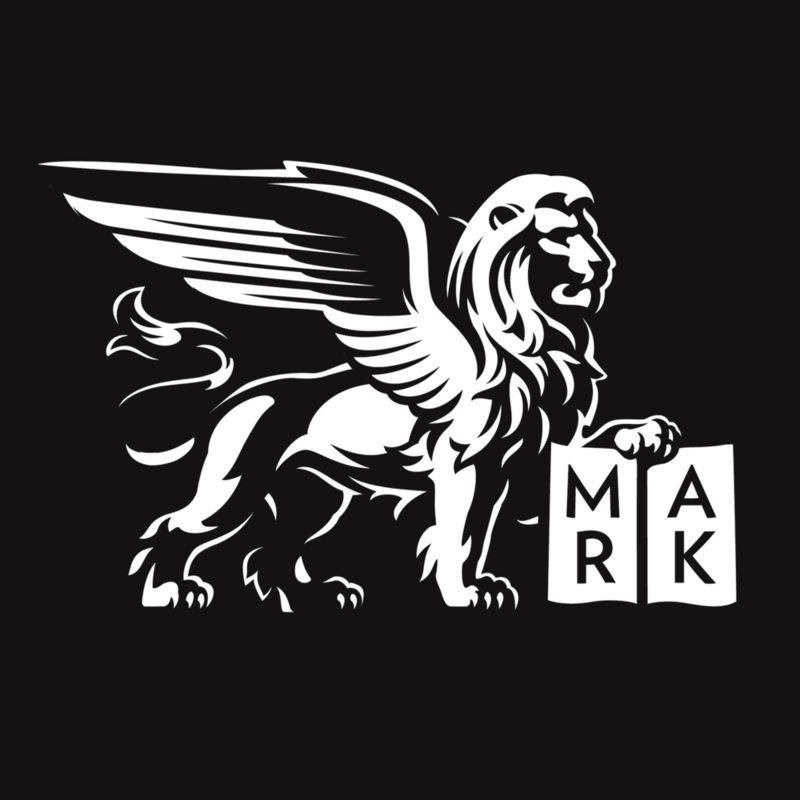 When Mark is writing, the church is split between those who see its message and mission as limited to Jews or those willing to become Jewish, and those who saw that the gospel was universal: for all peoples. Mark does not abandon the priority of the Jewish mission, and of the role of the Jewish people in the history of salvation: we are all the children of Abraham; we are all Jews. The woman is content to receive the crumbs which fall from the children's table. But he does believe the Gospel is for all—that faith, as demonstrated by this woman is possible for all—so he uses this story to root the Gentile mission in that of Jesus. How much do we believe that the Gospel and the Church is for all, and not just for people like us? How willing are we to be challenged by the Syro-Phoenician woman and those she represents? Mark does not tell us whether the man who is deaf and has a speech impediment is a Gentile or a Jew, although he does give Jesus a rather roundabout route back to Galilee. In any case, Jew or Gentile, the poor man who would have been excluded from society by his disability – as many still are today. Disability then was not just physical affliction but the consequence of sin. So when Jesus heals the man, he is not enabled to hear and speak – but he is restored to a proper place in community. How far are we willing to have our ears opened to hear the Gospel and then to speak it to others? Are we willing to cross boundaries to speak the Gospel to people who are not like us? The Letter of James also deals with responding to visitors. In this case to two very different people who turn up at church: one rich and powerful, dressed in style—designer toga and expensive jewelry; the other poor, powerless, shabby and a bit smelly. So, now, I want you to imagine that you are in church. That shouldn't be difficult, because we are in church! Imagine that you are sitting at the back and can see people coming in and the ushers welcoming them. James condemns such blatant discrimination in no uncertain terms. How care they call themselves Christians and behave like this? Can't they see that they are breaking the “royal law of love:” the law of the kingdom of God. That law is summarized by Jesus in the Gospel as love of God and neighbour. He brings together the command to love God, and the command to love neighbour in the Book of Leviticus, which also prohibits discrimination against the poor on account of their appearance. This is in stark contrast to the law and way of the world. But he does not just condemn them for their treatment of the poor man but for the way they treat the rich man too. This would be especially shocking in a society in which people often had to depend on a patron, someone rich and powerful, for benefits and advancement, patronage and protection – think of Don Corleone in “The Godfather.” Such a relationship breeds subservience and obsequience. While that social system may have gone, or at least been weakened, there is a temptation for clergy and church officials to 'kowtow' to the rich when they have a fund-raising appeal or just to bridge that gap in the budget. After all, that grand-looking person could be another Mr. Wanamaker who might give you another silver altar! Our church in the West End of London is open all day and every day. Some people come in to worship and pray; some to admire its architecture and decoration; some out of curiosity. Others come because they are living on the streets of our city and they need somewhere to get warm and dry and to sleep. Last summer, we allowed a young homeless woman called Lisa, who was expecting a baby, and her boyfriend Leon, to sleep in the church. My colleague Fr. Michael and I had discovered out that they were heroin addicts on methadone and we had tried, without much success, to provide some help and advice. The baby was due in September and Theresa and I had already gone on holiday to France in the middle of August, when Fr. Michael emailed us to tell us that during the Saturday morning mass, Lisa had slipped out of church into the courtyard because her waters had broken. Some Chinese ladies on their way to the Buddhist temple along the street heard her crying out in the pains of labour and called an ambulance. This arrived in time for the paramedics to deliver the baby safely; attended by Fr. Michael and the Buddhist ladies. The baby—whom the mother had called “Angel” because she was born at a church—was taken into care immediately and after a few weeks in hospital she went to foster carers. Meanwhile, the congregation had given money, clothes and toys for her, which were delivered to the hospital. We thought we would hear no more of her, but her foster carers got in touch and brought her to church to meet us and take photos so that she would have an album of her history. And recently, we heard that she has now been adopted. Now it would not be true so say that all our parishioners, or even the clergy, find giving shelter to street people easy. They can be disruptive, messy and occasionally frightening and violent. But the truth of what the Letter to the Hebrews says about not neglecting to practice hospitality because we might be entertaining angels unawares, was amply demonstrated for us by baby Angel. Posted on September 8, 2015 by Noah Stansbury.